Every year people in the Sandy and Draper ask me the same question. Should I list my home over the Holidays? Or is now a good time to Buy a home? The simple answer is this can be a great time to have your home on the market. If you want to sell your home faster and for more money now just might be the best time to put your house up for sale. 1- There is less competition. Many people take their home off the market or wait until next spring or summer to list their home. Most Sellers just don't want the hassle of showing their home during the Holidays. This is good news for you because you don't have to compete with other Sellers to get a potential Buyers attention. In a Market that already has low inventory that means more serious Buyers will be checking out your home. Make sure that your house is 'priced right' and ready to show. The Buyers that are willing to take time out of their buys Holiday schedule to look for a new home are serious about buying a home now. There are many reasons someone might want to buy a home now: Tax Reasons, Relocating for a new job, or maybe they have been looking and just haven't found the right home to purchase. Whatever their reason make sure that it is easy for them to get a good look and your home. Be sure that you are flexible with showing times. It will pay off. We all know that emotion plays a huge role in which home a buyer buys, now is the time to take full advantage of that by making your home cheery and bright and festive. 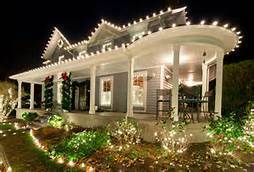 By making sure that your home is tastefully decorated and highlight your home's best fetures, you allow the Buyers to envision their own family celebrating the Holidays next year.